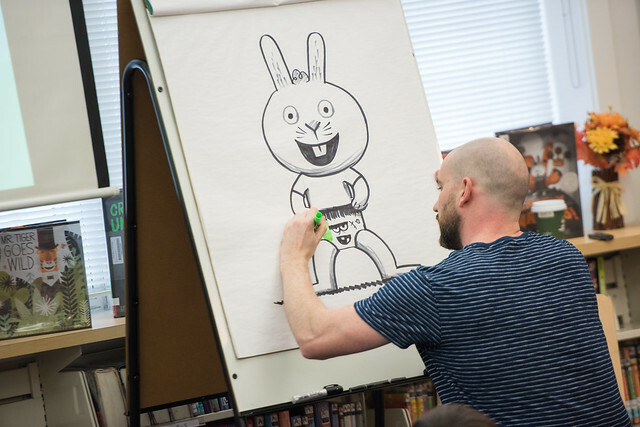 Peter Brown, well known author and illustrator of such childhood favorites as Creepy Carrots, Creepy Pair of Underwear, and Mr. Tiger Goes Wild visited with the Lower Division Library on Tuesday, November 27. 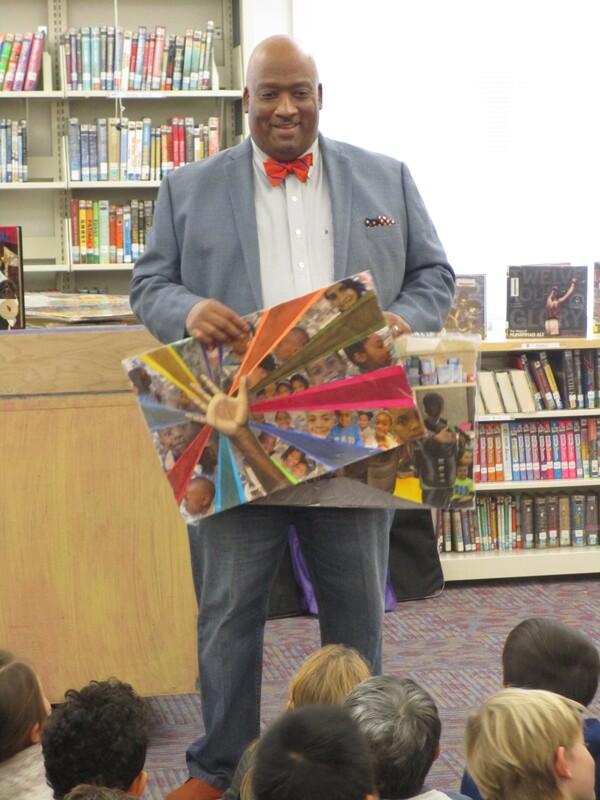 Brown amazed students in grades K-2 with his presentation about writing and illustrating children's books. A very special treat was watching Peter Brown draw his favorite illustrations. Click the image below to view the photo album. Peter Brown, well known author and illustrator of such childhood favorites as Creepy Carrots, Creepy Pair of Underwear, and Mr. Tiger Goes Wild will visit the Lower Division Library on Tuesday, November 27. Brown will be meeting with students in grades K-2. School's Out For the Summer! What a perfect time to read! Take a look at recommended reading and librarians' picks through this website. Don't forget, you can also find some great reads by going to our catalog and selecting Visual Search. Happy Reading! April is National Poetry Month, and we'll be celebrating in the Lower Division Library with a poetry festival and readings throughout the month. Be sure to check out our wonderful poetry books as you plan for Poem-in-the-Pocket Day on Friday, April 27. Favorite author Dan Gutman visited the Lower Division on Wednesday, November 8. Gutman has written the My Weird School series, the Homework Machine, and most recently, the Flashback Four series. 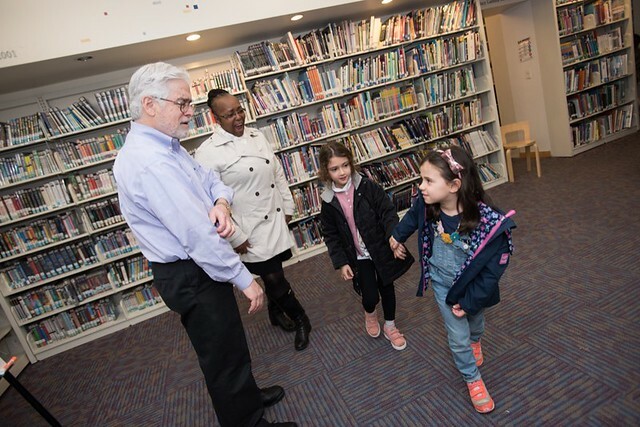 His visit marked the official start of the Book Fair Celebration at the Lower Division. 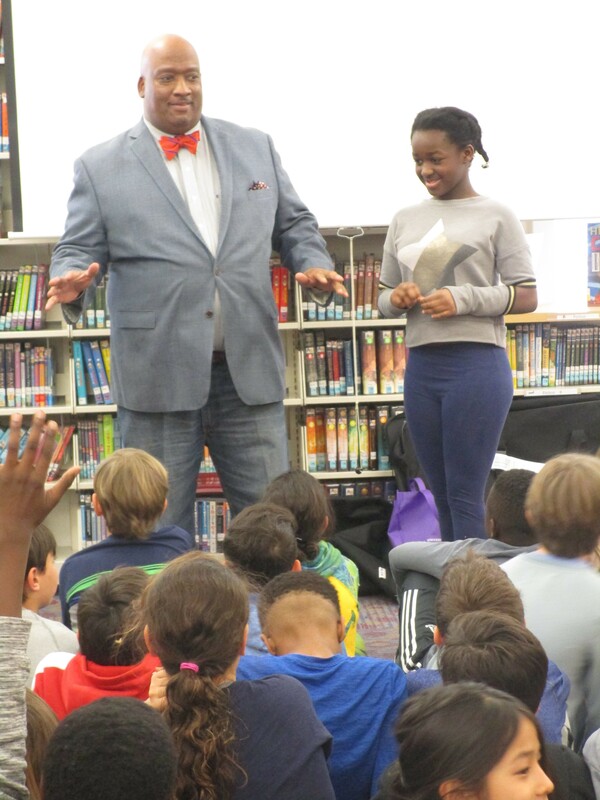 Check out the slideshow of photos from his visit below. Don't forget "Poem in Your Pocket Day" is April 27. The winner of the Caldecott Award for the best illustrations in a picture book for 2017 goes to, "Radiant Child: The Story of Young Artist Jean-Michel Basquiat" illustrated and written by Javaka Steptoe. There were four Caldecott Honor awards given as well. The First Caldecott Honor Award was given to "Leave Me Alone" illustrated and written by Vera Brosgol. The second Caldecott Honor went to "Freedom in Congo Square" illustrated by R. Gregory Christie, written by Carole Boston Weatherford. "Du Iz Tak?" 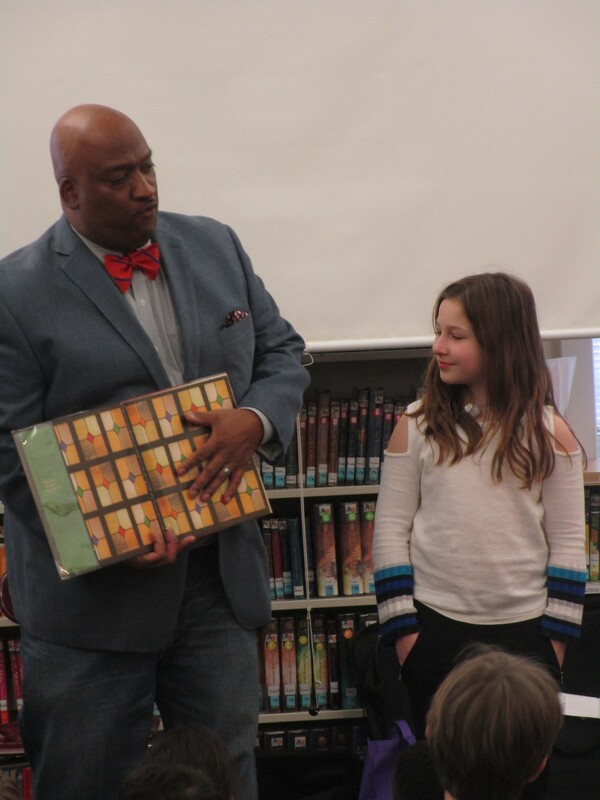 illustrated and written by Carson Ellis received the third Caldecott Honor Award. A fourth Caldecott Honor Award went to "They All Saw a Cat," illustrated and written by Brendan Wenzel. Congratulations to all Caldecott winning illustrators and their books! 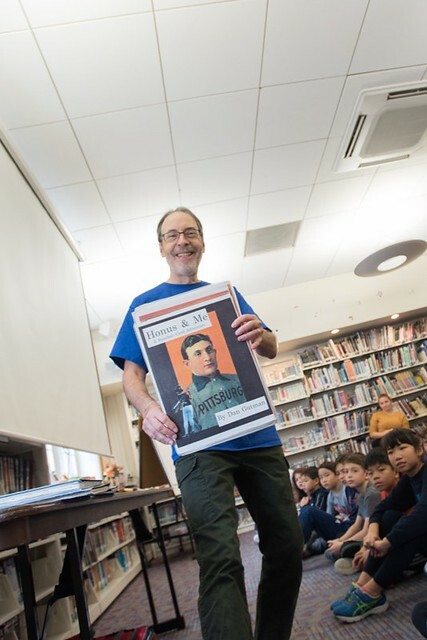 Author David A. Adler visited our Kindergarten through Third Grade students on December 1. Here are some pictures from the visit. The Lower Division students in grades K-3 will welcome David A. Adler author of the Cam Jansen, Young Cam Jansen, and Bones mystery books on Thursday, December 1. Adler is also the author of numerous biographies, historical fiction stories, and holiday books. 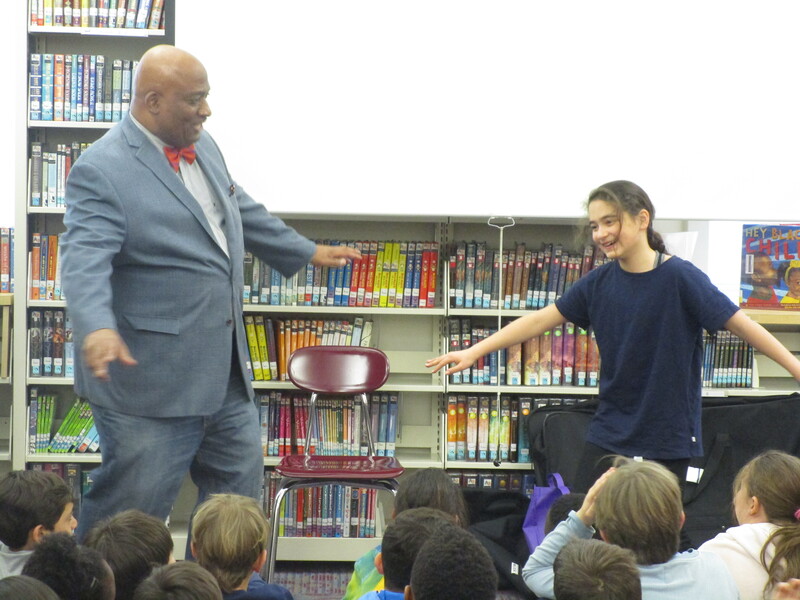 Students in 4th and 5th grade are excited to welcome Gennifer Choldenko on Friday, December 2. Choldenko is the author of Al Capone Does My Shirts and Chasing Secrets. 2016 Caldecott Awards Have Been Announced! LD Book Fair Was An Amazing Success! Welcome back to a fun-filled year of books and reading! We’re off to an exciting start to the new school year! Our library displays are full of new books. One of my personal favorites is, “What Do You Do With an Idea?” by Kobi Yamada. Stop by the library and share your summer favorites. Warm Up With a Good Book Over the Holiday Break! Our holiday break is a wonderful time to curl up in a cozy spot to read a good book. 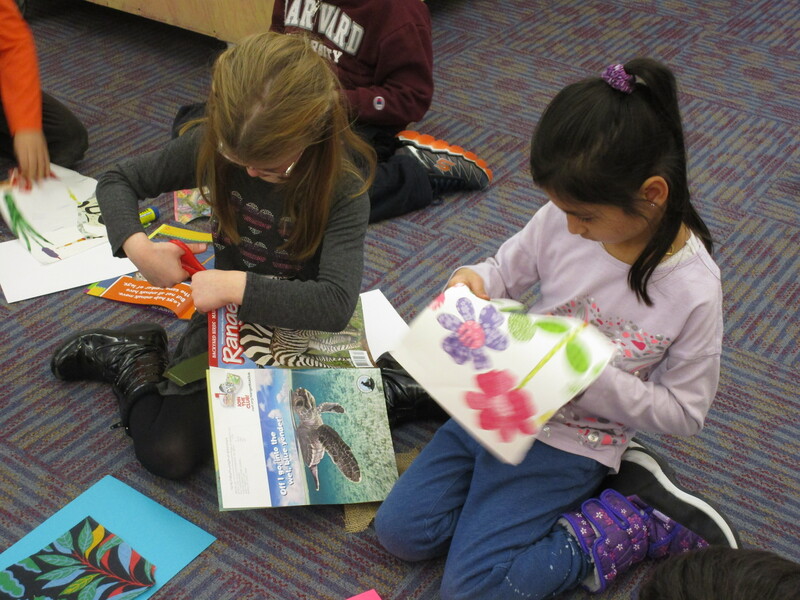 Children in grades K-2 will be checking out plenty of books to read over break. Happy reading and happy holidays one and all...Learn, Explore, Grow...READ! and have fun! Students in Kindergarten through Third Grade will meet with her as part of our Book Fair celebration. School's Out For the Summer! What a perfect time to read! Second Grade Students Set An Accelerated Reader Record! Our extremely motivated second grade students set an all-time Accelerated Reader record at the Lower Division, while working toward their grade goal. Their grade goal of 1,210 was established by totalling each student's personal goal for the 2013-2014 school year. By our cut-off date of May 16th, students had successfully recorded an astounding 1,657 Accelerated Reader tests taken! Congratulations to our second grade readers! We have been studying the Caldecott Award in all of the first grade library classes. Based on their study of the Caldecott Award, first grade students awarded The HM Lion Award for illustrations in some of their favorite picture books. 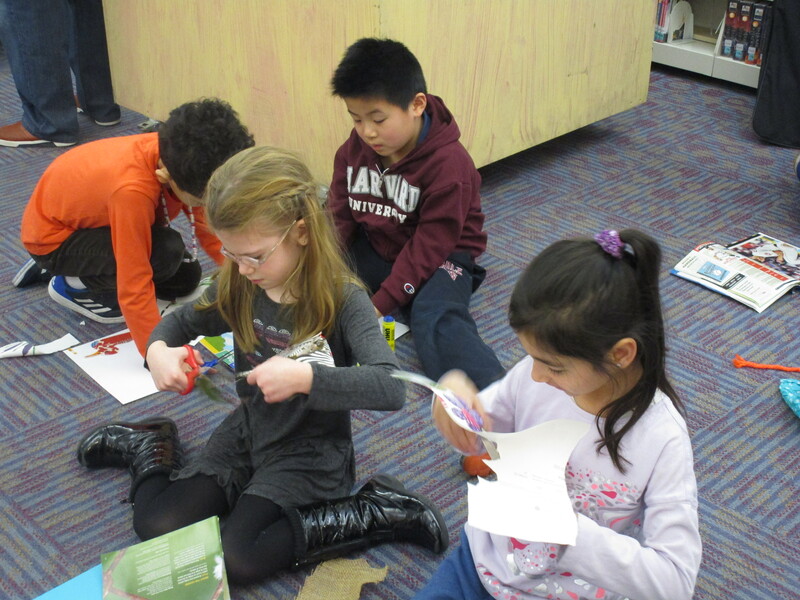 View our first grade students presenting their picture books for the Lion Award. 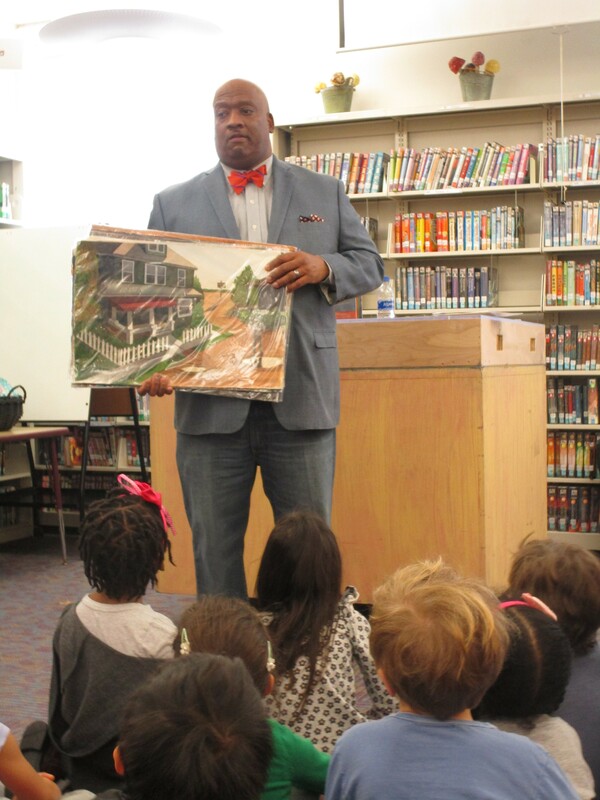 Back by popular demand, Caldecott Honor illustrator Bryan Collier returned to HM for a visit with kindergarten and first grade students. 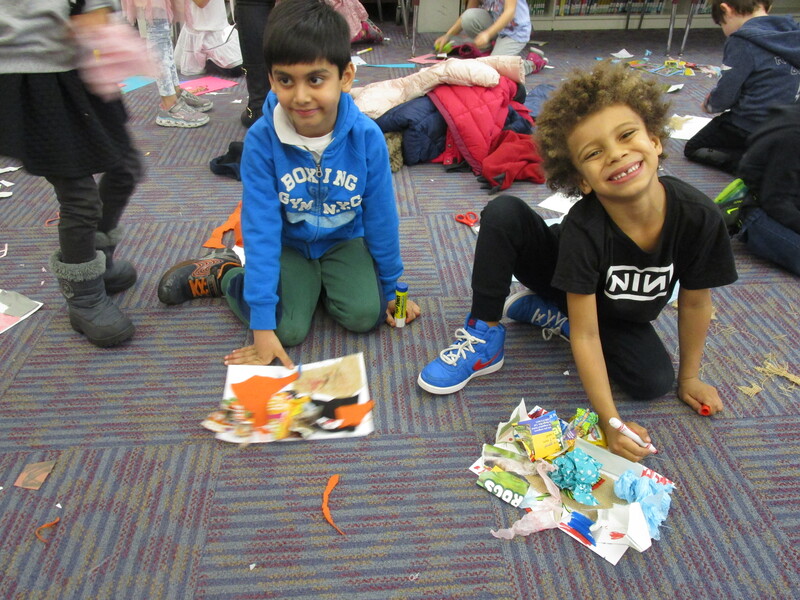 Children experienced Bryan's collage work through his books "Rosa," "Dave the Potter," "Your Moon, My Moon," and "Fifty Cents and a Dream." 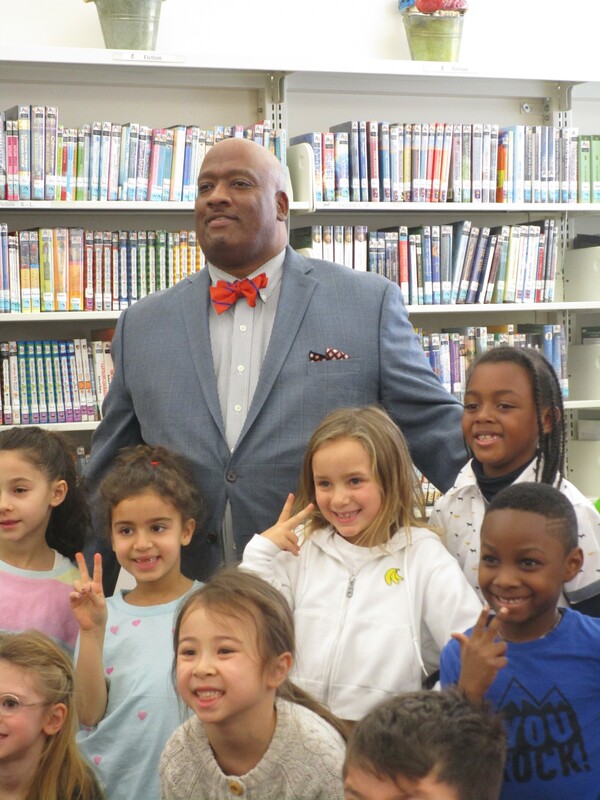 The children especially enjoyed hearing Brian read "Your Moon, My Moon" during his visit. Vote for Books was this year's Book Fair theme. 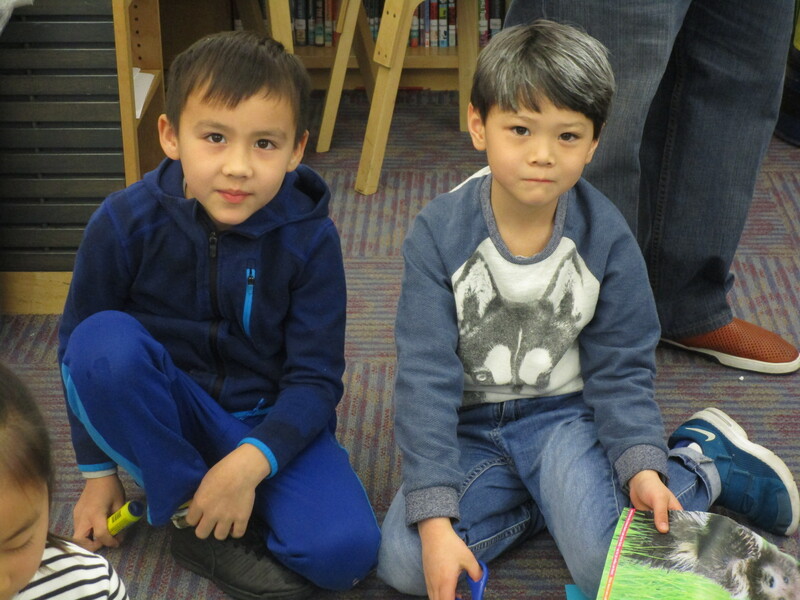 A celebration of books and reading, a wonderful time was had by all of our Lower Division students and their families. Enjoy looking at some pictures of this special event! Tadd Hills is the author of the "Duck and Goose" series, as well as, "Rocket Learns to Read" and "Rocket Writes a Story". He will meet with Kindergarten and 1st grade students on Wednesday, November 28. Dan Greenburg has written the "Zack Files", "Weird Planet", and "Secrets of the Dripping Fang" series. Judith Greengburg has written the "Andrew Lost" series. They will co-present to 2nd and 3rd grade students on Friday, November 30 in Gross Theatre. The annual book fair will be held on Friday, November 30 and December 1. Welcome Back to Books! Books! Books! 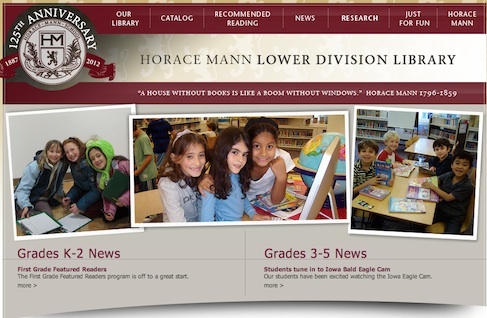 Exciting things to come include voting for HM's Top 10 Books, our Book Fair, and author visits. We have many new books to share that include print and e-book titles. See you soon!